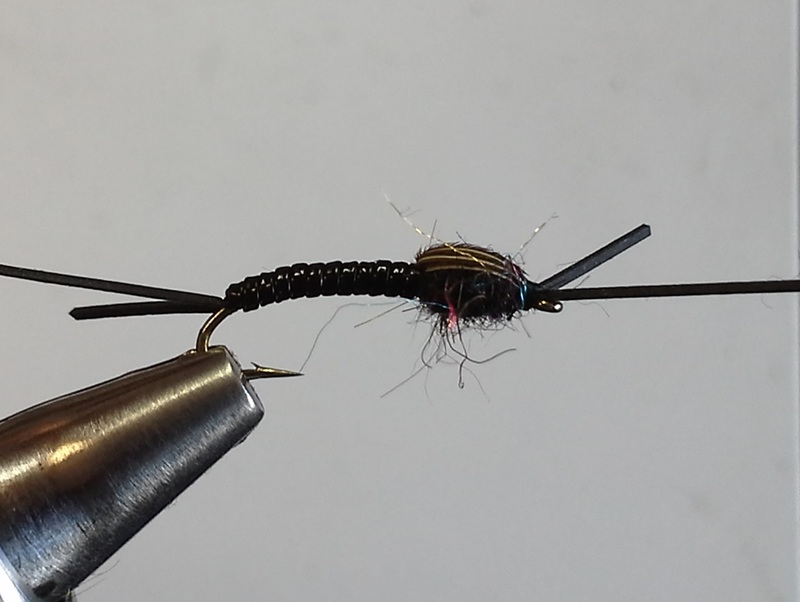 This month’s fly is the Early Black Stone. I saw a video of this pattern on the internet and we gave it a try at our Saturday afternoon tying group. Early Blacks are one of the first bugs to appear in the spring, often before the snow is out of the woods. It is a small bug, ranging in size from a 12 to an 18.